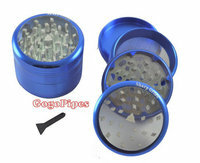 High Quality Sharp Grinder is 4 Piece in Blue color. This grinder has magnet crusher screen and collector. It has sharp blades to get the job done.